Mostly cloudy. High 62F. Winds WNW at 5 to 10 mph.. Wife, mother, grandmother, great-grandmother, and friend to all, Elaine went home peacefully to the Lord on December 6, 2018, at the Mennonite Village in Albany. The second daughter of Dean and LaVoun Falwell, Elaine was born in Medford, Oregon, and moved to Ashland, Oregon, in the sixth grade. She graduated as senior class valedictorian from Ashland High School in 1955 and married Carlos Van Vleet on June 10, 1956. Shortly after marriage, Carlos and Elaine moved to Eugene where Carlos completed his studies at the University of Oregon. After graduation, Carlos and Elaine moved to Corvallis where they raised Marla, Bill, Chuck, John and Bob. 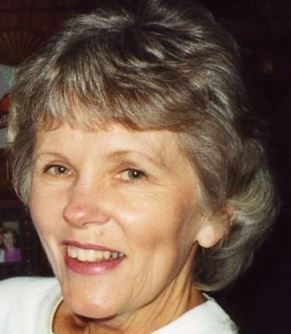 Elaine was a dynamic mother and was deeply involved in all of the activities her children participated in, including Brownies, Cub Scouts, Little League, 4H Club, PTA, and Corvallis High School athletic support clubs. She also worked in the Oregon State University Athletic Department for over 30 years and served as the OSU Athletic Ticket Manager for 27 years. Elaine is survived by her husband, Carlos; daughter, Marla Van Vleet Welsh of Rossmoor, California; son, William Van Vleet of Corvallis, son, Chuck Van Vleet of Roseville, California, son, John Van Vleet of Portland, and son, Robert Van Vleet of Corvallis. Elaine also leaves behind twelve grandchildren, Brian Welsh, Katie Fitzgearld, Korey Van Vleet, Jamie Van Vleet, Greg Welsh, Doug Welsh, Leah Van Vleet, Alex Van Vleet, Carter Van Vleet, Nick Van Vleet, Jillian Van Vleet, & Jordan Van Vleet; and four great-grandchildren, Marcelo Welsh, Keira Welsh, Ruthie Welsh, and Asher Welsh. We will all dearly miss her vitality and joy for people! Private funeral services for family only will be at noon on Thursday, December 13, 2018. A celebration of life memorial will be held at 2 p.m. on Saturday, January 5, 2019, at Corvallis Country Club, 1850 SW Whiteside Drive, Corvallis. Memorial contributions in honor of Elaine can be made out to the Elaine Van Vleet Athletic Scholarship Endowment. Contributions should be made to the OSU Foundation at 4238 SW Research Way, Corvallis, OR 97333.